← Is Plastic Logic’s Reader a Kindle Killer? When the people formerly known as the audience employ the press tools they have in their possession to inform one another, that’s citizen journalism. Mr. Shanbhag . . . said he had not heard the term citizen journalism until Thursday, but now he knows that is exactly what he was doing. “I felt I had a responsibility to share my view with the outside world,” Mr. Shanbhag said in an e-mail message on Saturday morning. Mr. Shanbhag also took pictures of the fires and damage using his cell phone camera and posted them on his Flickr stream. 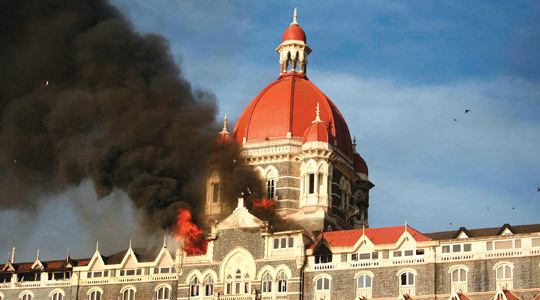 Other people sent video from inside the Taj hotel and reporters were able to communicate using cell phones and text messages with hotel guests trapped in their rooms. Just as students sent email from the Tiananmen Square massacre of 1989, letting the world and the mass media know what was happening, so Twitter and Facebook are providing some windows onto what has been happening in Mumbai the past two days. Citizen journalism comes in many forms. For example, The Hub, a video site established by rock star Peter Gabriel, provides cell phones equipped with video cameras to citizens of countries around the world to document human rights abuses. It provides a window on such crimes that would otherwise go unreported or under-reported in the mainstream media. Not all of the activity around citizen journalism is focused on global or national stories. Much of it has to do with the emergence of community reporting via the web as more print based community newspapers have been snapped up and their content homogenized by large media organizations – e.g. the Port Reyes Light case. Citizen journalism has its staunch defenders and skeptical detractors. Members of the mainstream media may bristle at the idea that all of this is “real” journalism and they would be correct in saying it is not – at least by the standards that most mainstream news venues live by. Citizen journalism is like raw perception that sees but doesn’t necessarily attempt to interpret what it sees. The analysis that professional journalists can provide – if allowed to do so by the corporate media companies they work for – is more like an extended, reflective consciousness – attempting to make sense of what has been reported. 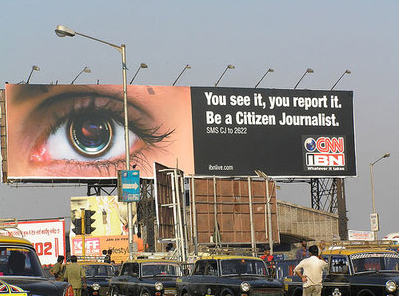 Citizen reports will take their place alongside the established media. That process is well underway – e.g. iReports on CNN or many of the citizen blogs now associated with magazines and newspapers. Both technology and economic factors are pushing in that direction. Ultimately Internet and other communications technologies will increase the amount of information and the speed with which it is disseminated. But we still have to parse out the meaning of it all and the practices and standards of journalism will still supply this critical function whether the news gathering is done by citizens with cell phones or media professionals. 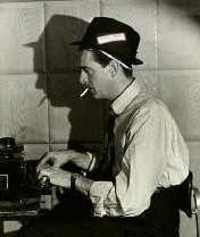 The Huffington Post – Seeds of a New Journalism? This entry was posted in Journalism & Newspapers, open publishing and tagged Arun Shanbhag, citizen journalism, iReport, Mumbai, Peter Gabriel, Point Reyes Light, Taj Mahal hotel, The Hub. Bookmark the permalink.